The B2C online business models have assumed various forms and have received thumping response from customers across the world as they comply with the changing human life style. One such eCommerce development model that is quickly gaining prominence, especially among urban households is online grocery business. Factors like impatience to wait in the queue, affordability, door delivery services and lack of time have prompted even traditional shoppers to switch over to online groceries. “In fact 25% of online browsers order grocery products online and the number is expected to scale up to 55% in the future”. With the online grocery business booming, there has been a surge in online grocery website development and currently the biggest challenge lies in creating an online grocery store with customer fixating features. Understanding your customer’s mindset can reap rich dividends for your online grocery store. For instance, say X has been your longstanding customer, procuring dairy items from your website. And as a part of customer loyalty program, you offer them coupons for purchasing sea-food. Do you think your customer will be impressed? Definitely not. That is going to do no good to you as well as to Mr. X because the offer is absolutely irrelevant to him. It is a clear case of customer misinterpretation. Such scenarios will engender customer retreat. So it is imperative to grant privileges that sync with your customer’s preference. That is when Google Analytics comes in to play. Google Analytics is a potent marketing weapon as it provides insightful data for assimilating customers’ shopping behavior. It categorizes the results in to the following phases. Visitors – Number of visitors entering your website. The first phase of result gives a clear idea about the incoming traffic to your site. You will be able to compare the traffic influx on a daily, monthly or yearly basis and track your traffic progress frequently. This phase lets you find the source that has pulled in visitors. The source could have been a social networking platform or a third party website or anything. By knowing the source of leads, you will be able to carry on your marketing campaigns effectively. This phase will give you a thorough understanding about the products that have been most sought after by the customers and products that haven’t garnered much attention. Based on the result you can take a call on the products you sell. The final phase lets you decipher the amount of conversions and the bounce rates. 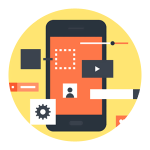 This is a very crucial phase as it helps you spot the root cause for bounce rates and based on it you can rework on business strategies so as to reduce bounce rates and improve conversions. When it comes to impressing customers, loading speed plays a significant role. Stats conducted in USA reveal that “51% of online shoppers cite slower loading speed to be the prime reason for them to abandon shopping midway”. Hence it will be a wise to creating an eCommerce app for your grocery store. Creating a grocery store app has a legion of benefits. It helps you stay in touch with your customers incessantly. Through apps, you can send push notifications about the latest offers in grocery products and the recent product arrivals in your grocery store. 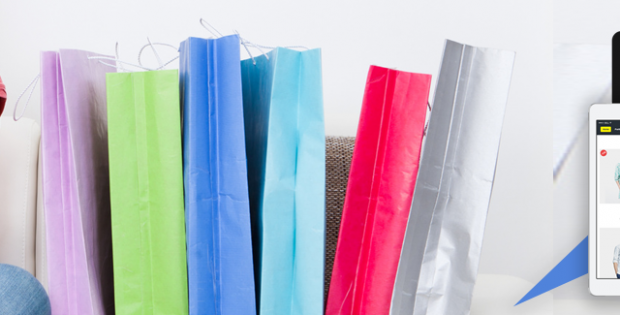 Make sure these offers sync with your customers’ interest. You can also evoke customer’s interest by introducing the concept of reward points. When a customer purchases grocery products, offer them reward points. As time passes, these reward points will cumulate and customers can cash in on them to avail discounts. Creating an on demand delivery app or integrating a delivery tracking feature into your existing grocery store’s mobile app can let your customers track their products. It helps you earn trust and create a sense of customer-friendliness. On demand delivery app keeps customers informed about the status of the products they have ordered from the time it leaves the warehouse till it reaches their doorstep. Additionally, delivery tracking apps can provide a business owner the prowess to assign delivery work, track it and render navigation help for deliverer personnel. 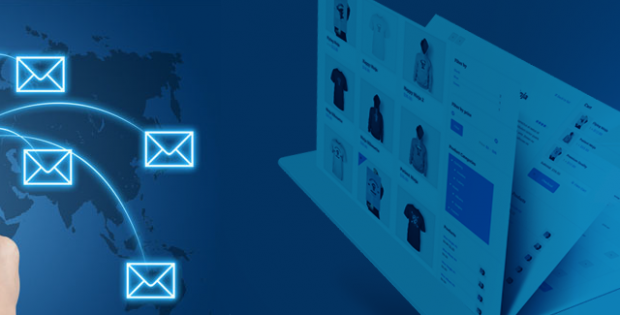 “70% of customers leave the website because of lengthy checkout forms”. 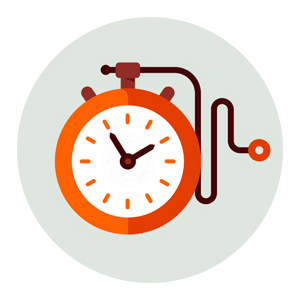 Multi page checkout is an instant turn off from customer’s view point as they need to furnish redundant details and it leads to more time consumption. 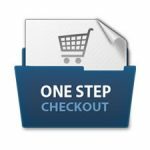 On the other hand, one step checkout alleviates this problem as it brings all the vital information in one page and makes it simple and less time consuming for customers to fill the checkout form. 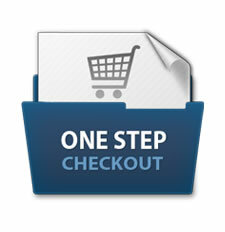 Therefore by using one step checkout to your grocery website you will be able to raze bounce rates drastically. 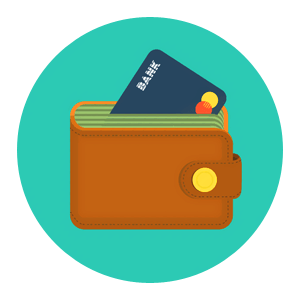 As per stats conducted by MasterCard it was found “47% of debit and credit card holders have exhibited their interest in adopting recurring payments”. Integrating recurring payment extension could work wonders for your grocery business as it gives customers the option of making the payments on an installment basis. Customers also have the liberty to choose the installment schedule (weekly, monthly or yearly). Recurring payments service plays a significant role in winning the customer’s trust. “Consumer reviews can boost the chances of conversion by 20%”. If there is one feature that could instantly influence a customer’s purchasing decision, it will be reviews posted by other consumers. Nowadays, customers even before looking in to the specs of product, explore the customer reviews. Only when they get convinced with the reviews they move further. 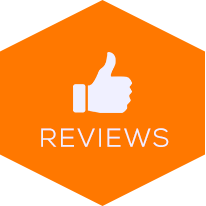 So it is essential to have reviews and rating feature incorporated to your grocery website. It helps in building customer trust, which paves way for a long lasting relationship. “In today’s scenario 72% of business use cloud and the figure is expected to escalate to 91% in the next 3 years”. When traffic to your grocery store is erratic it could lead to a server downtime and it can have a negative impact on your customers. So it is very important for you to choose the right server to handle traffic. That said, cloud hosting is an ideal fit for such situations. As cloud server is scalable it can ramp up resources automatically to handle heavy traffic, thereby giving no room for server downtime. Moreover, the ‘pay for what you use’ concept makes cloud hosting affordable. Also by having a cloud server for you grocery store, information can be accessed from any part of the world provided you have internet connection. The above factors will certainly help you in understanding and serving your customers better, thereby improving customer retention. Be it building an online grocery store or integrating customer fixating features with an existing grocery store, we have got the right mix of developing wizards to implement it for you. At Contus, we have insightful experience in building a proactive online store that converts leads into sales. The features used in developing an e-commerce platform is quite unusual due to the technologies deployed. With the help of handful wizards, we blend the right techniques to yield the revenue of your business. I work for the Digital Marketing team at Contus. I am an avid reader and my ultimate goal is to convey complex information in a simple and an interesting manner. 48 Comments on "Start Building An Online Grocery Store Targeting Customer Retention"
I always shop grocery online because it save my time and money. The online Bazar to grow their business and full fill your consumer requirement..This is very nice post.Thanks for sharing.. Interesting Post..Customer retention is the key to success in this business and irrelevant offers only ends up loosing a customer..I’ve been doing a lot of online Grocery shopping from Websites like Aaramshop and they offers amazing deals based on my preference and past shopping trends.. So far I have never come across such an elaborate post on creating an online grocery website. Very informative post. Keep writing such unique things. Hello Samuel Waldemar, Thank you so much. I will pass on the complements to our developers as they gave lots of details regarding developing an online grocery website. Hello, I want to expand my grocery store in the online medium. how to create an online grocery store with my stock of groceries? How much will it cost? How long will it take? Hi, Great to know about your future plans. We have just what you need to create an grocery website for your grocery business. Depending on the functionalities the cost of the developing the grocery website will vary. The duration to making the grocery store will also vary depending on the desired functionalities. Why don’t your drop us a mail at bd@contus.in and we will revert with a precise quote. Thanks for showing interest. Hello, I have planned to create grocery store online, but little confuse with the eCommerce technology, So which one should i use to making better eCommerce experience, please give me a suggestion. Hi Marlowe Clive, All technologies are good for creating grocery website but I would suggest magento is the best ecommerce platform because of Magento are scalable and flexible features, strong SEO, enabling you to support more than one store, making deep customization’s. Thank you. If you’ve been looking to a quick and best solution to create your online grocery website, I would higly recommend this article. Really appreciated your hard work Vignesh. Thanks & Hope to see more advanced grocery website development guides. Thanks for this simple and previous information. I like your new feature on demand delivery app. Very interesting! I need to open a new grocery store online. But I have little confused about domain name, So what name should I choose for my grocery store? When buying a domain name, avoid something too similar to competing domain names and make sure not to violate someone else’s trademark. Also name should be short, catchy and memorable. You should also make your name easy to pronounce and spell. If I starting a grocery business online, then I have to focus on my conversion So what are the marketing channel should use to my grocery website? Hi Alphonzo Giffard, There are many online marketing platforms available to generating grocery store revenue. But I would suggest you can use social media and content marketing platform. Incase if you have an idea about paid marketing then you can use Adwords for better return on Investment. Your posting is relly nice, Thankyou for sharing with us. I am planning to start an online grocery site? 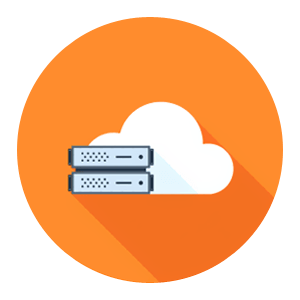 Which is best cloud hosting service? It is a good decision that you have decided to use cloud hosting for your grocery site. AWS services are really good. It is also being widely used by many professional websites. How much does it cost to build an online grocery website? The cost to open a grocery store depends on the several factors like the website design, features, warehouse management and so on. A rough estimate can be given only after hearing the requirements from you. Please do share your requirement to us at bd@contus.in. You will get a clear estimate. Which one is economical? Building a website for my grocery business or create a mobile app and run my business through mobile apps? Definitely running your business on app will be far economical. But in the initial stages it is better to concentrate on your grocery website and then move over to app. Because your reach will be better only if you have a website. Through your grocery website you can register a strong impression on your customer’s mind. You have suggested cloud servers. It is been two months since I created my online grocery store. But I have my own server set up and it is efficient to handle a mediocre traffic. Do I need to opt for cloud servers? There are many online tutorials on Google analytics. You can refer to them or outsource a digital marketing firm for analyzing it.